Judge, "Lauren Lake's Paternity Court"
Host and designer of HGTV’s, "Spice Up My Kitchen"
Lauren Lake asks herself one question everyday. Why be ordinary when extraordinary is an option? The multi-faceted attorney, author and television personality, believes in what she calls a Limitless approach to life. On a personal and professional level, Lake rejects other’s attempts to define her or put her in a box. Instead, she continues to write the chapters of her own story, simultaneously and unapologetically. Currently, Lake serves as judge on the nationally syndicated half hour daily courtroom show, Lauren Lake’s Paternity Court. Sharp-witted and opinionated, Lake helps litigants resolve legal issues involving paternity using DNA results. While presiding over a range of emotional cases, Lauren’s powerful persona resonates as she provides the perfect blend of inspiration and tough love with her no-nonsense, tell-it-like-it-is advice and analysis of each case. Lake built a prominent law career as a member of the New York, New Jersey and Michigan bars with a concentration in family, criminal and entertainment law. She is also a go-to legal and lifestyle expert for the Today Show, The View, Access Hollywood Live, The Wendy Williams Show, Dr. Drew, and many others. 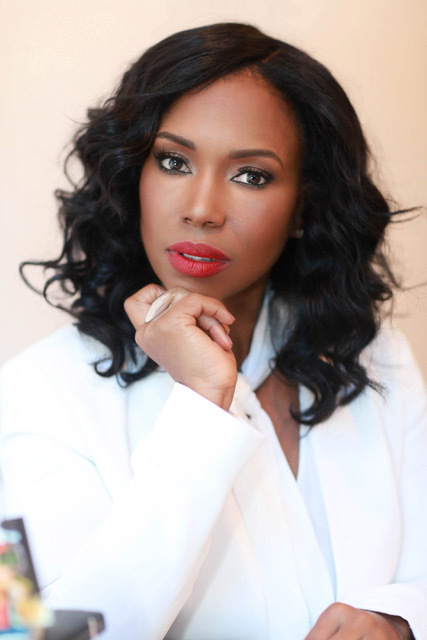 Lauren has filled in as a regular host on IHeartRadio KFI AM, Radio One’s WDBZ Cincy, and served as legal expert on the syndicated Tom Joyner Morning Show as well as WBLS, New York. In her book, “Girl! Let Me Tell You...” (2009) Lake empowers single women to never settle for anything less than what they deserve in life and in love. Lake has served as moderator and contributor on panels dedicated to women, relationships, empowerment, and family. These panels include: Radio One Women’s Empowerment Expo, Circle of Sisters Expo, the Essence Young Women’s Leadership Conference, and the Tom Joyner Family Reunion. Lake is an all-around creative spirit that doesn’t just talk the talk when it comes to living life limitlessly. In addition to transforming lives, Lauren also enjoys bringing new life to living spaces. She served as host and designer on HGTV’s Spice Up My Kitchen and was the HGTV Showdown Champion for two consecutive years. Lauren is a former professional singer, songwriter and producer. She sang background for multi-platinum artists including Jay-Z, Mary J. Blige, P. Diddy, Dr. Dre and Snoop Dogg. Originally from Detroit, Michigan, Lake graduated from the University of Michigan and earned her law degree at Wayne State University Law School. Lake is committed to encouraging and inspiring ordinary people to live extraordinary lives. A mother of one, she is passionate about advocating for women, children and families. Lauren Lake strives each day to be a living example of life’s infinite possibilities. For availability and speaker fees, please contact Lauren Lake’s speaking agent at Chartwell here, or call +1 972 385 1021 for U.S. inquiries or +44 207 293 0864 for international inquiries.